Fast Track is one of five Food and Drug Administration (FDA) approaches to make new drugs available as rapidly as possible: the others are priority review, breakthrough therapy, accelerated approval and Regenerative Medicine Advanced Therapy. Fast Track was introduced by the FDA Modernization Act of 1997. Fast track designation is designed to aid in the development and expedite the review of drugs which show promise in treating a serious or life-threatening disease and address an unmet medical need. Serious Condition: Determining whether a disease is serious is a matter of judgment, but generally is based on whether the drug will affect such factors as survival, day-to-day functioning, or the likelihood that the disease, if left untreated, will progress from a less severe condition to a more serious one. Addressing an expected public health need. Accelerated Approval or priority review if the requisite criteria are met. Accelerated approval is meant for drugs that demonstrate an effect on a surrogate, or intermediate endpoint reasonably likely to predict clinical benefit. Priority review shortens the FDA review process for a new drug from ten months to six months, and is appropriate for drugs that demonstrate significant improvements in both safety and effectiveness of an existing therapy. A fast track application is automatically considered for both of these designations. An FDA decision not to grant Fast Track status, or any other general dispute, may be appealed to the division responsible for reviewing the application within the Center for Drug Evaluation and Research. 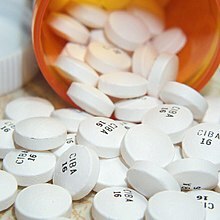 The drug sponsor can subsequently utilize the Agency’s procedures for internal review or dispute resolution if necessary. Reichert JM, Rochon SL, Zhang BD (November 2008). "A decade of the Fast Track programme". Nat Rev Drug Discov. 7 (11): 885–6. doi:10.1038/nrd2733. PMID 18948998. "Fast Track, Breakthrough Therapy, Accelerated Approval and Priority Review". For Patients and Patient Advocates. United States Food and Drug Administration. U.S. Dept. of HHS, FDA, CDER, and CBER, Guidance for Industry: Expedited Programs for Serious Conditions – Drugs and Biologics, CENTER FOR DRUG EVALUATION AND RESEARCH, at 9 (June 2013), available at http://www.fda.gov/downloads/Drugs/GuidanceComplianceRegulatoryInformation/Guidances/UCM358301.pdf. This page was last edited on 12 November 2018, at 08:17 (UTC).